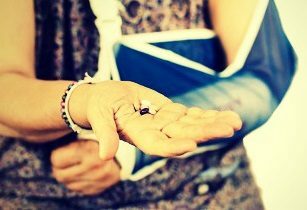 More than half of parents said they are concerned their child may be at risk for opioid addiction, but two-thirds believe opioids are more effective at managing their child’s pain after surgery or a broken bone than non-opioid medication. The survey included more than 1,000 parents of children ages 13 to 24, one-third of whom had been prescribed opioids. Only about a third of parents whose children were prescribed opioids asked their doctor about pain management alternatives. American Society of Anesthesiologists President Dr. Linda J. Mason told The New York Times parents should understand that there are alternatives to opioid pain management. “Opioids are very potent relievers of pain, very effective,” Dr. Mason said. “But they have addictive properties, and also side effects, like respiratory depression.” She said when she cares for a child having surgery, she may begin with opioids and then quickly switch to other drugs.